About, at, by, in, to or with? 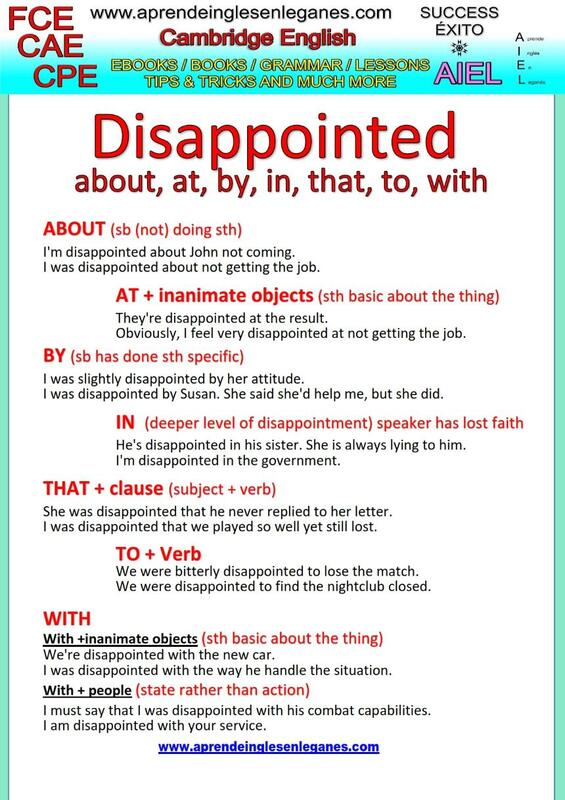 Which preposition should follow the adjective "disappointed"? The preposition that follows "disappointed" usually expresses the intensity of the emotion involved. Have a look at the grammar sheet below to learn more about it.